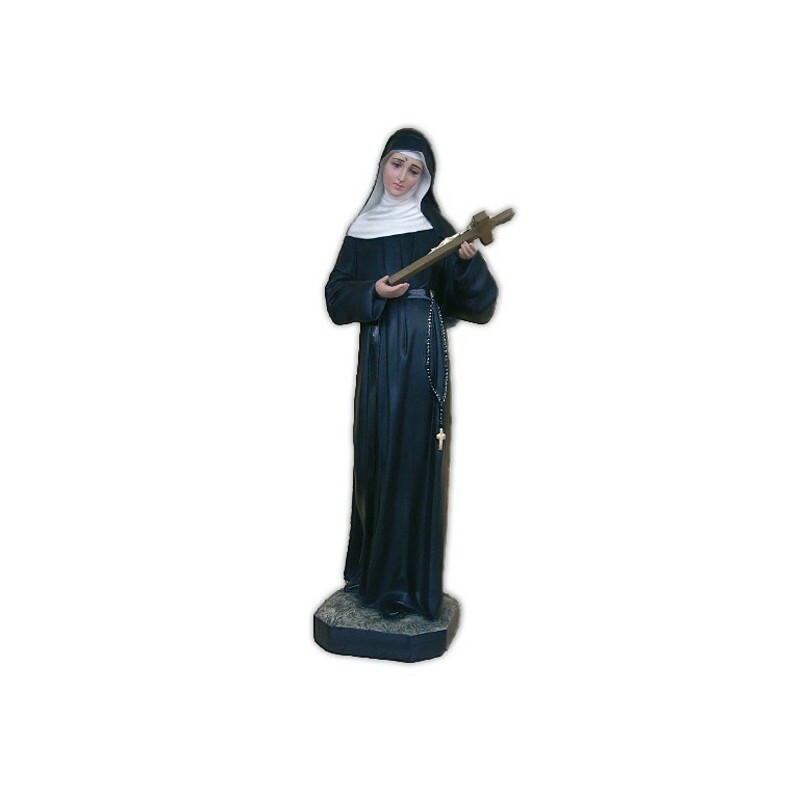 Statue of Saint Rita of 80 cm. Statue of Saint Rita, 80 cm of fiberglass, handmade in Italy. 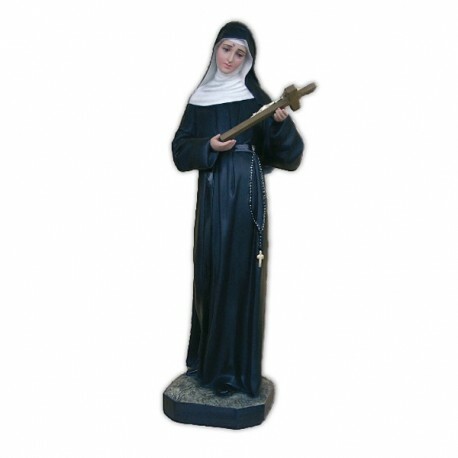 Saint Rita of Cascia lived between 1381 and 1457. She was born near Spoleto and she married a bad and aggressive man who was killed. Their sons promised to revenge him, but they died to, absolving the killers. Rita enter a convent of Augustinians in Cascia, where she bore patiently a painful disease, up to her death. She was canonized in 1900. In the latin countries she is the saint patron of the homeless cases. In the iconography she is illustrated as a nun with black clothes, with a crown of nettles and a crucifix.